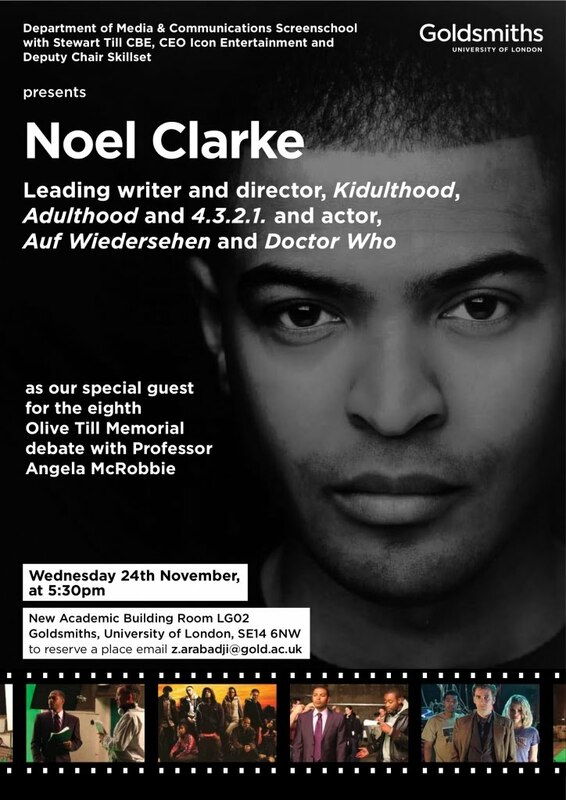 Here is the interview that was held at my University on the 24th of November 2010 with British film director and actor Noel Clarke. This is a must see! Today at my university, I attended the “Olive Till Memorial Debate” which I think happens once a year (this was my first time attending). This years guest was British director, actor and screen writer Noel Clarke. Noel’s best work that I’ve seen is the hit films Kidulthood and Adulthood, which he directed and acted in. The discussion was really great, Noel did a brilliant job of explaining his films and the industry. The words that I’m really looking for is that he “kept it real”, he gave blunt answers about his experience in the business and the difficulties that he went through. He spoke the truth and told of all the corruption and stereotypes that people have in producing certain films. You can go into a meeting and present your storyline and script e.g a black man becoming a doctor, and they will think no, its not what they are looking for. But if you come in with a black man becoming a gangster they are more than happy to produce the film. Noel is a really funny guy and kept everyone laughing, his interaction with the audience was the best especially when some women shouted from the back stating that “this is Goldsmiths University and the sound should be better”. Noel responded with “alright don’t get your knickers in a twist”and continually checked that she could hear throughout the remainder of the time. Apologies if none of this makes sense, I’m too tired to think.